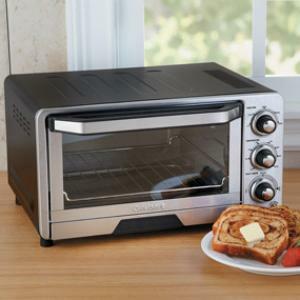 The kitchen appliance you have been waiting for has finally arrived in the form of a toaster oven which has, in many Breville toaster oven reviews, been referred to as the “jack of all trades”. Amidst of today’s hectic world, this appliance is certain to be a welcomed guest in your kitchen, office break room, school dorm or any other cooking space you’d like to enhance convenience and style. The Breville BOV800XL is aptly branded a “Smart Oven” for its versatility allowing you to cook meals without slaving over a hot oven. 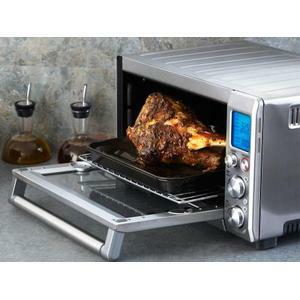 Its IQ technology allows you to heat, bake, broil, roast, toast and defrost with unbelievable results. 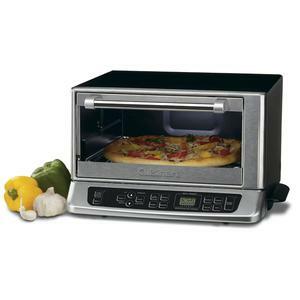 With the device, you can make perfect toast, enhance family pizza night, or prepare close to an entire holiday feast at the touch of a few easy-to-read, enlarged dial settings against a blue, back-lit LCD screen. 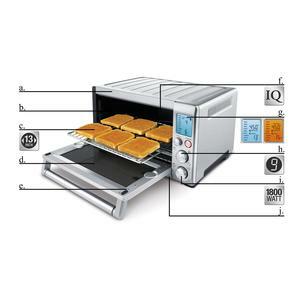 Many a Breville BOV800XL review confirms calling the device a toaster oven is an understatement. From English muffins to an entire 4 lb. chicken, this culinary doo-dad is a must-have. Breville’s latest convection oven will serve as a master chef, leaving you with all of the credit for creating a restaurant-grade meal. 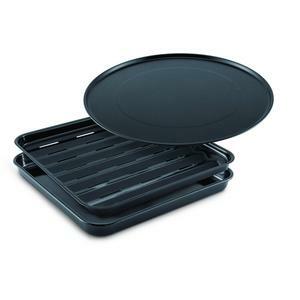 The toaster comes with a removable 13″ pizza pan, a heavy duty baking pan and a broil rack – and it measures 18½ X 16¼ X 11¼ inches. It is bit large by most countertop appliances, but I found it easy to fit in my kitchen, especially since I dumped my original toaster to make room for my new culinary toy. Despite it being a bit of a space-hoarder, there is no other appliance I’d rather have there; it adds a dash of much-needed swank to my otherwise quite drab kitchen with its contemporary design of durable stainless steel. My one quirk: although its non-stick interior and easy-to-pop-out, enamel accessories, these parts cannot be tossed in the dishwasher and have to be hand-washed: a small price to pay for its “high IQ”. Browsing other Breville toaster BOV800XL reviews, I found that some purchasers were disappointed when their device broke after a short time (on average, break-downs occurred about 2-3 months after purchase). On the up side, customers encountered superior customer service and were provided with brand new toasters quickly cheerily and free of cost. 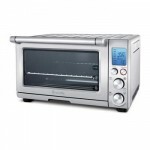 When it comes to the high cost of technological devices these days, top-quality customer service is priceless; clearly you can expect this when it comes to investing in the Breville toaster oven. 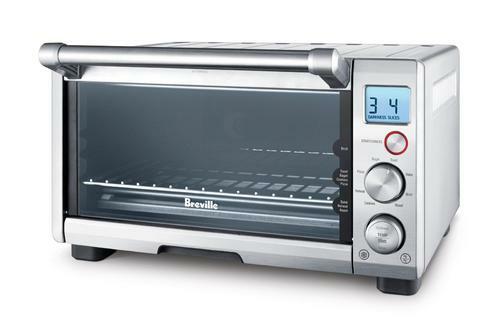 What makes the Breville convection oven so “smart” is its ability to bake, roast, toast, defrost and more, evenly and quickly. What exactly are these “quartz” elements? These components enable the toaster to maintain a steady controlled temperature throughout the cooking process, so that the chef needn’t watch over the food being cooked. 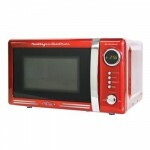 Its convection setting cooks food approximately 30% faster than normal ovens, and a timer simply shuts the toaster off when the process is done. Unlike standard metal elements found in regular ovens, quartz makes for quicker and better controlled temperature changes, not to mention energy efficiency. For example, to cook a roast, the Breville will generate extreme heat from above in order to broil first. This allows the meat to brown, allowing its juices to first flow into the meat. 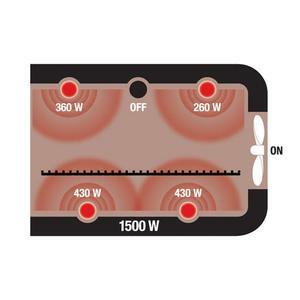 Once this stage is completed, it will automatically adjust the temperature in order to cook the inside perfectly. 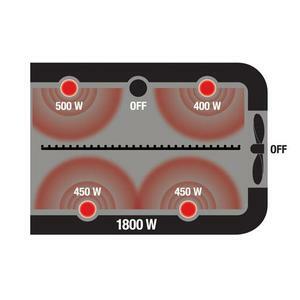 For cakes, the oven will utilize the same initial high heat followed by circulating warm, dry air for flawlessly baking the cake evenly throughout. To toast, the Breville browns each slice one by one by kicking up the heat to its highest wattage (1,800 watts). The result? Up to six pieces of toast that are each browned to perfection atop and warm and moist in the center. You can even customize the temperature controls to your liking, and the intelligent appliance will remember that setting until you either change it or unplug the Breville. Without a doubt, I can say that the Breville BOV800XL is by far my most prized appliance – it has made cooking an enjoyable, convenient experience. This is while adding an aesthetic pop to my kitchen, too. The oven has afforded me more time with my family, saved me money and energy â€“ and makes for some of the tastiest meals I certainly would not be able to cook without. From Lasagne to Whole Chicken. 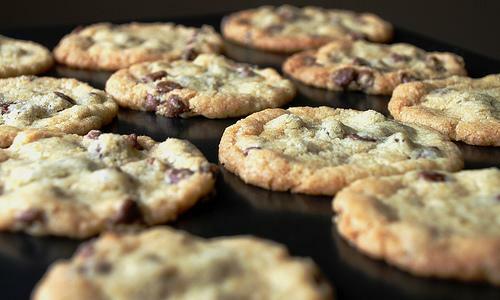 Baking is Easy with Breville BOV800XL! 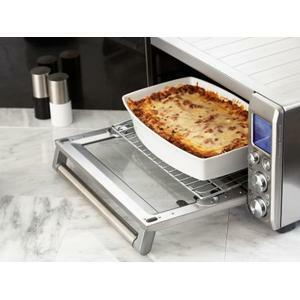 Some say this is the best toaster oven. I would think the smartest oven might be the more appropriate title. Now that you’ve read the ins and outs of the Breville BOV800XL, what do you think? Do you think it deserves space in your kitchen top?